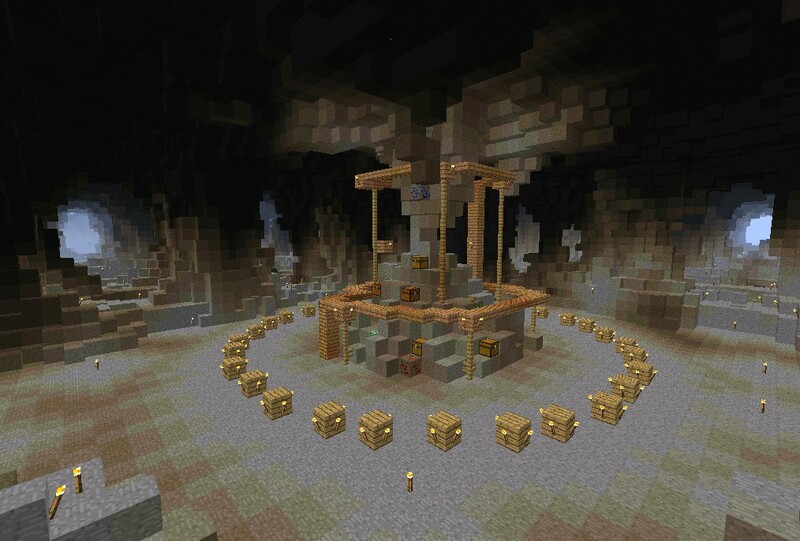 The Mineshaft Hunger Games Map is a brilliant map created by the developer “XxiMonsterxX”. The map allows players to explore around an abandoned Mineshaft. The map in general is based around the small caverns that you can access, as well as a structure known as the “Forgotten Temple”. The map can be installed for the latest version of the console Minecraft, particularly, Xbox 360. There is no real way to ‘use’ the Mineshaft Hunger Games Map. You first of all need to download the map. This is done a little differently on consoles and involves transferring the files over with a USB stick. Then, gather up as many friends as you can and invite them into your game. The Mineshaft Hunger Games Map can play anywhere from five to eight in-game players. The Mineshaft Hunger Games Map allows players to explore small caverns, the forgotten temple and the rising and floating sands of the maps landscape. Available for the Xbox 360 and Xbox one version of Minecraft only. To install the Mineshaft Hunger Games Map you need to first of all download it by clicking on the download link below this article. There are currently no public changelogs for the Mineshaft Hunger Games Map.